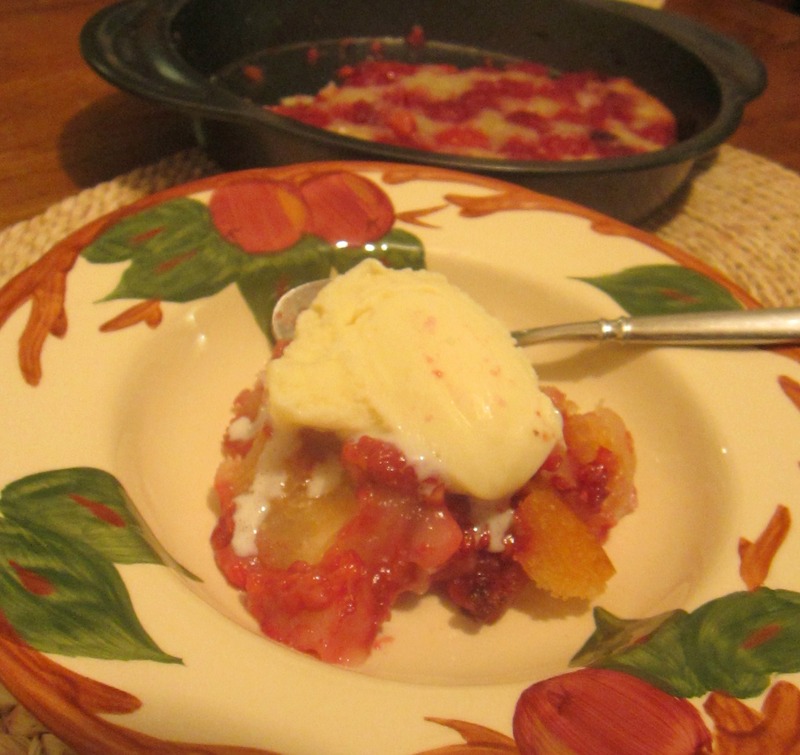 Calling this a cobbler is a bit of a stretch, but this is a great summer dessert and a good way to start up the brand new messykitchenhappybelly.com! Try this easy sweet for a backyard BBQ or a picnic, and have a happy summer! 1. Preheat the oven to 350 degrees and spray a cake pan with non-stick, oven-quality spray. 2. Melt the margarine in the microwave, about 30-45 seconds. 3. In a medium bowl, whisk 1 cup of the sugar with the flour and milk. Once blended, add in the melted margarine. 4. Rinse your berries and pat them dry. 5. 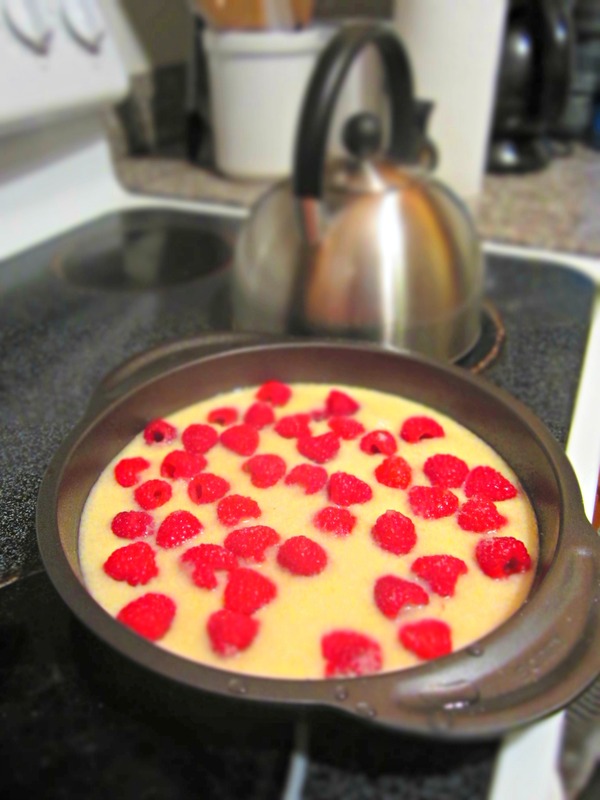 Pour your batter into the prepared cake pan and sprinkle the berries on top. Sprinkle the remaining 1/4 cup sugar on top of the berries and pop your gorgeous tart into the oven for 1 hour. Serve with a bit of frozen yogurt on top and enjoy the sweet yumminess! Thanks very much Ema! Your peach cobbler looks wonderful as well! The berry cobbler looks absolutely delicious. I would like to try it some time. Thanks so much for sharing!